Love Those Classic Movies!!! 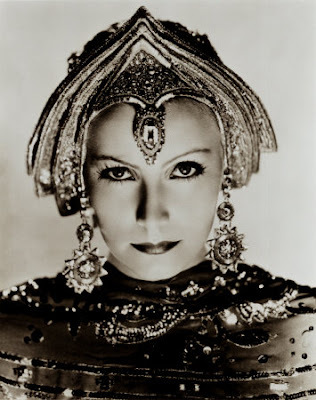 : Mata Hari (1931) "The most dangerous spy of all time!" 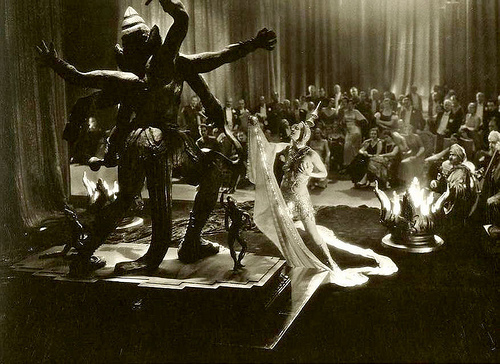 Mata Hari (1931) "The most dangerous spy of all time!" 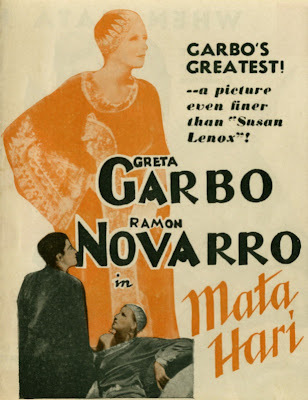 "The most dangerous spy of all time"
~ This is a pre-code motion picture based on the life of Mata Hari (the lady's real name was Margaretha Geertruida Zelle). Mata Hari was an exotic dancer and was executed for espionage in WWI. "The only way to resign from our profession is to die." During WWI in 1917, Mata Hari (Greta Garbo) is in Paris living a double life. Mata Hari is an exotic dancer and also secretly a spy for Germany. 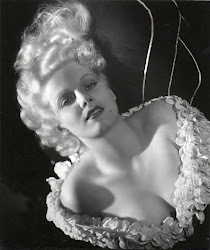 Her beauty has found to be a great gift where she has been able to obtain vital information from French and Russian officers in the bedroom. 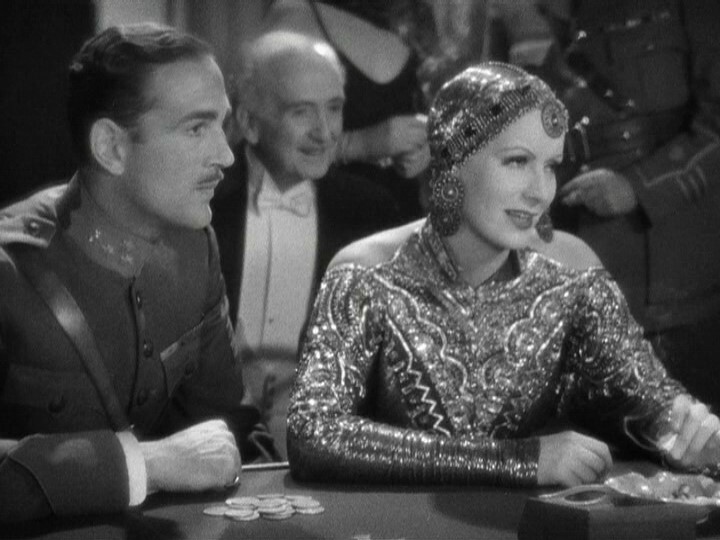 One person she has won over is General Shubin (Lionel Barrymore) who is a Russian General. Mata Hari's seductive ways are working very well for her with the higher power's that be in the millitary. The French Secret Service is onto Mata Hari but has yet to be able to obtain the evidence needed to arrest her. Meanwhile. General Shubin is very much in love with her but for her it is only an act for her work. During this time Mata Hari meets a young and dashing Russian pilot Alexis Romanoff (Ramon Novarro). 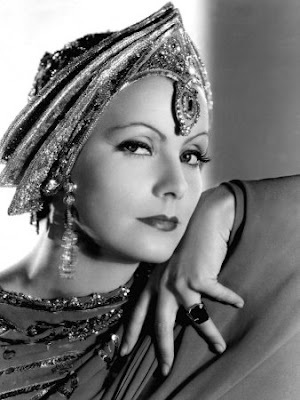 Mata Hari spends the night with the smitten pilot and she is able to obtain secret documents. The one item that she was not planning was that she is truly attracted to Alexis Romanoff and starts to see him more with deeper and true love from both for one another. This is a dangerous thing for any spy to tangle with where her judgement will be cloudy. 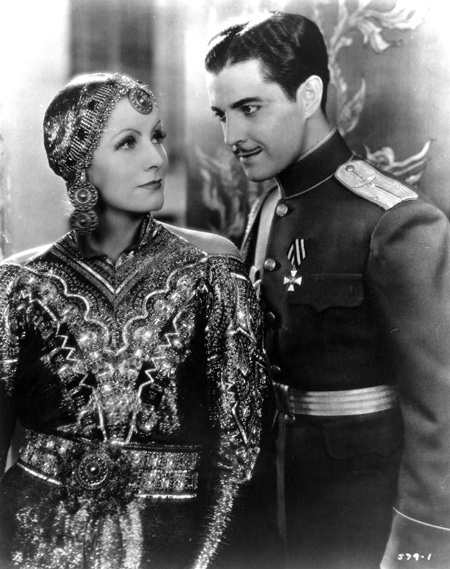 General Shubin finds out about the love affair that is going on between Mata Hari (his love) and Alexis Romanoff. The general is furious and blinded by his overwhelming jealousy and quickly acts upon his anger. 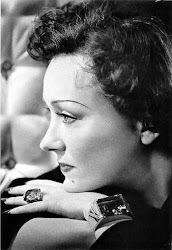 Since his love is truly playing games with him and loves another she was not going to get away with her acts as a spy. The general finds the key evidence that the French Secret Service has been awaiting for and gives it to them very happily. Mata Hari is then arrested on the evidence of being a spy and doing acts such as war crime. Will Mata Hari ever be with her beloved Alexis and will he forgive her...you will have to see and think about that. Jezebel (1938) the love of Preston & Julie!